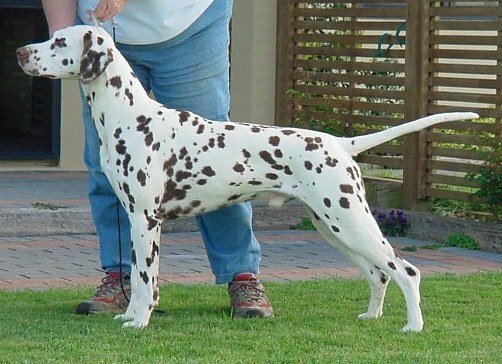 Sired by New Zealand's top all time winning Dalmatian, Meisje has lived up to her name. Our most performance titled pup from this litter, Meisje has traveled the country with her owner Jerri and now lives in Oregon. Miesja is burning up the performance rings - excelling in obedience, agility, road trials AND coursing! WHAT a girl!. She was one of only 5 2014 DCA Triathletes. We couldn't be prouder!